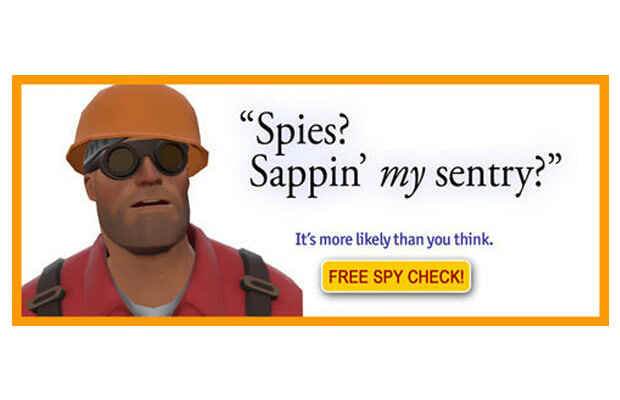 Few life-long feuds have raged as fiercly as the one between the Team Fortress 2 Spy and Engineer. All the little Engineer wants to do is to create and protect his instruments of death, and that nasty Spy does nothing but sabotage his plans. The panicked cries from an Engineer under duress can be heard through all of ctf_2fort as Spies slink off into the night only to return again to aggravate once more. It's one of the best examples of trolling as a game mechanic, and has caused more than a few frustrated Engineers to ragequit.